My imagination went wild! First I thought, new seasons of Bad Guys and Vampire Prosecutor! Woohoo! While the drama left off in such a place where a season 2 could easily be put together, with as much injury that went down on the Bad Guys set, I never thought the cast would sign on again. While I haven’t actually finished Vampire Prosecutor, let alone season 2, I’m sure there is still a bunch of crimes out there a Vampire Prosecutor could solve. But then I read the headline again and, not kidding, I thought that it meant that they were going to be melding the two dramas into one super mash up. I was so excited there may have been a for realz fangirl moment. Come on! Who wouldn’t want to see the vicious killers turned killers for the law of Bad Guys matched up with the cool Vampire Prosecutor? The writer in me was fascinated with the idea. How they could do this—would there be a crime spree, a villain so trixie and bad that they would have to band together? Or with their leader now in jail with them, would the new leader of the motely Bad Guys crew be Vampire Prosecutor? What an unstoppable bunch that would be! Would the Bad Guys know they were working for a Vampire? How would the Prosecutor feel being in charge of such a murderous un-vampy crew? Come on, the possibilities are endless! 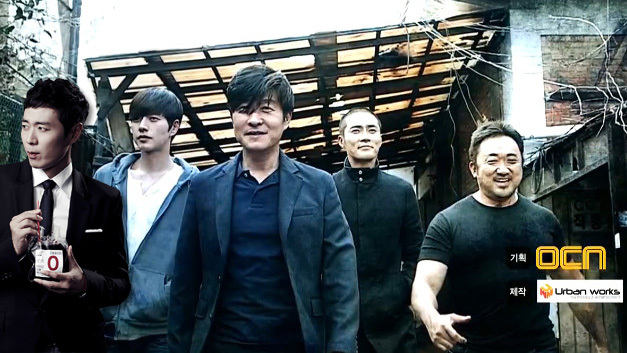 With such a ratings plot, this couldn’t help but work in OCN’s favor, couldn’t it? Alas, once my creative fangirling settled down, I actually read the post and it is, unfortunately, not about the possibly greatest crime fighting team know ever not known. It was just news on a drama by the same writer about tax fraud. hahahaa, I went through the same thing! I was super excited to read that headline, and then I read the post. And immediately threw the article away in my mind.